Keron "Kabaka Pyramid" Salmon is a multi-talented artist and producer coming straight from the streets of Kingston, Jamaica with a unique musical style blending the lyricism of Hip hop, with the energy and melody of Reggae and Dancehall. He is based out of the Bebble Rock music camp and through his liquid and hypnotizing delivery spreads the positive messages of spirituality and conscious evolution that forces you to listen. The name "Kabaka" is Ugandan for "King" and Pyramids are thought by the artist to house the mathematical proportions of Universal Laws that are eminent in the creation of this universe. He is an ever-evolving artist that has numerous ways of expressing his creativity. The ability to watch and learn from others around him has made him into somewhat of a Jack-of-all-trades, writing lyrics, producing tracks, engineering/recording himself or other artists, mixing songs, editing video/photos, or even learning to play the guitar! Kabaka Pyramid made his first major break-through when he was awarded a place on international selector; Dj Green Lantern's "Myspace Invasion" Mixtape in 2007. This was immediately followed by a release of his own promotional mixtape "The Transition Vol 1" which received much acclaim in the underground hip-hop community. 2008 saw Pyramid on the "Bebble Business" collab album as a part of the Bebble Team group dedicated to his fallen brother in music Rap Brown (Taiwo). Fast forward a year later and Kabaka Pyramid continued to garner even more notoriety with the release of his “ The Transition Vol 2” mixtape whose internet pre-release on www.bebblerock.com saw over 100 downloads in its first few days. His lyrical ability and deep spiritual messages are what he is most known for presenting on this project, raising the bar on the standard of Hip Hop in Jamaica. Also in this time Kabaka has featured heavily on Jamaican airwaves, with reggae songs like "Never Gonna be a Slave" and “Carry On” which has been given regular rotation by ZJ Rush on Zip FM. He has also gone number 3 on the Bermuda music charts with the track "Love is all I see" featuring local artist Ashanti in 2010. 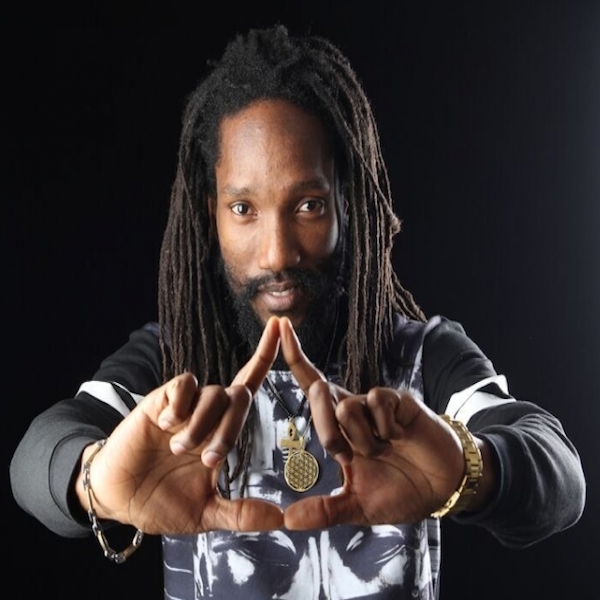 As a Producer Kabaka Pyramid saw chart success in the Bahamas soaring to number 3 in the country with the 2009 release of “Dead Man Walking” by Bahamian artist Jah Doctrine and Bebble Rock label mate Massyka. Busy in the streets Pyramid has also had a significant impact on the live Music scene in Kingston with performances at the Manifesto Jamaica Festival, JARIA Reggae Month, Next Generation of Reggae, Wickie Wackie Live and Plug N Play concerts to name a few. In July 2011 he released his “Rebel Music” EP that is free to the public at www.kabakapyramid.bandcamp.com. This project is a fusion of roots rock, reggae, dancehall and hip-hop and has been making waves in the global landscape, particularly Europe and North America. It has received an overwhelming worldwide response gaining homepage features on websites and magazines and gaining over 4000 downloads. With the 10-track CD regarded as a classic in its own right, this lyricist is one to watch for the future.